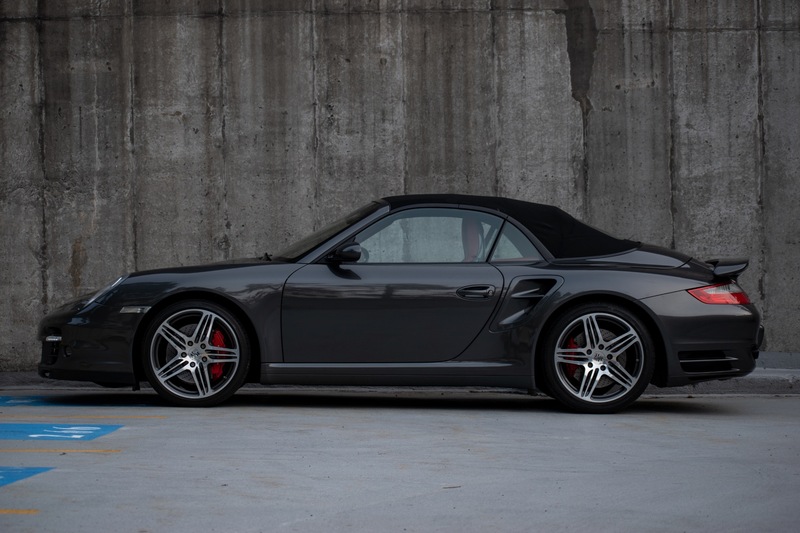 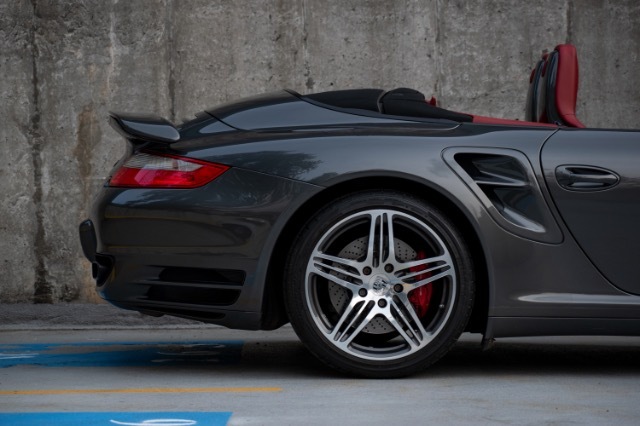 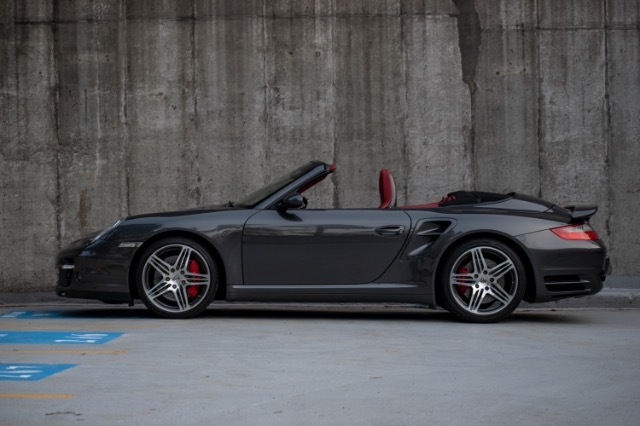 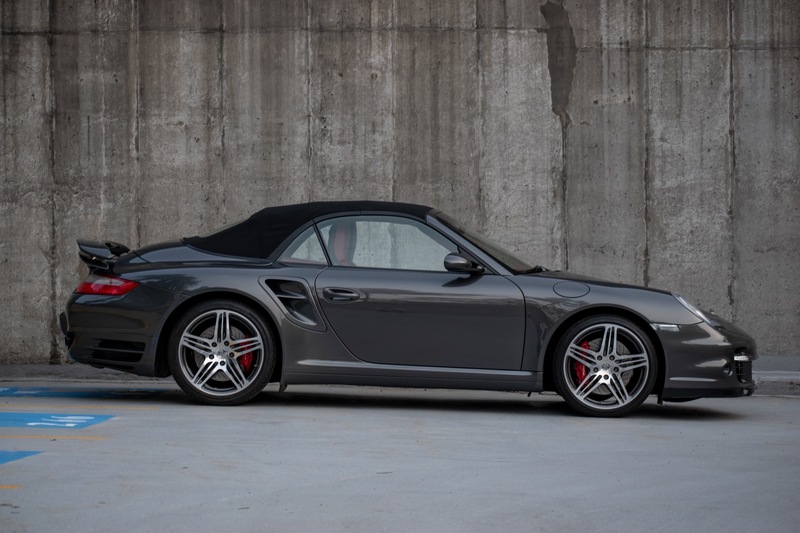 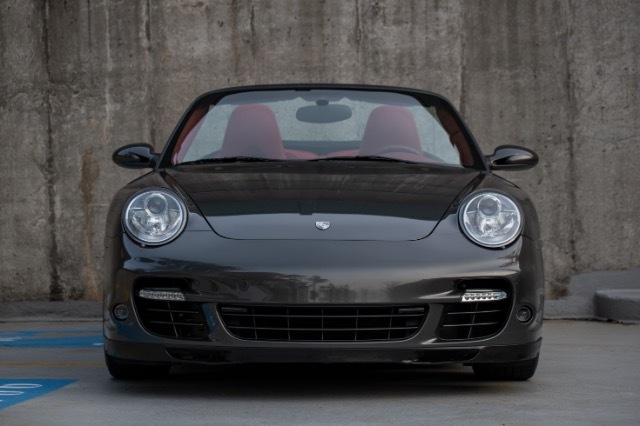 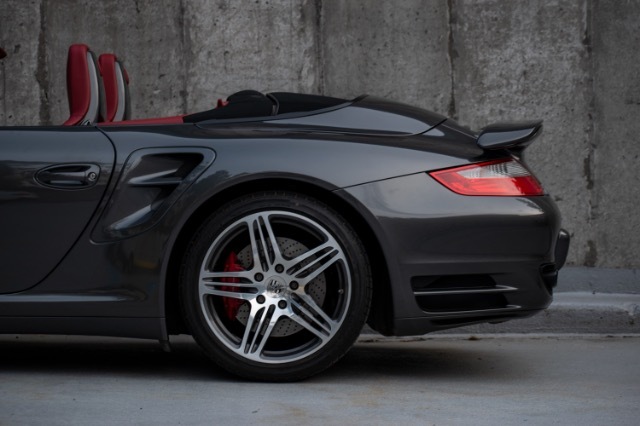 Now available at Carriage House Motor Cars is this stunning 2008 Porsche 911 Turbo Cabriolet finished in Slate Grey Metallic with premium Red Leather Interior. 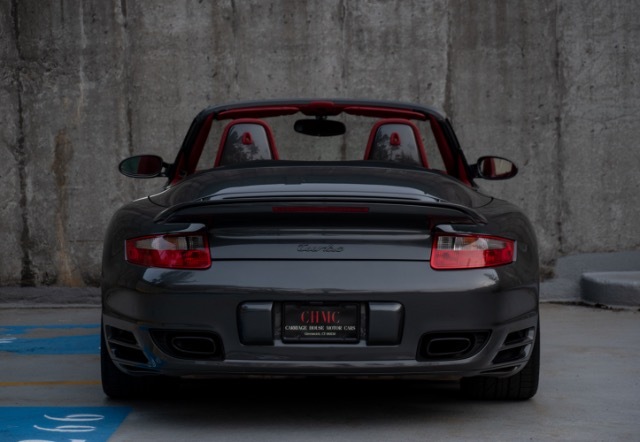 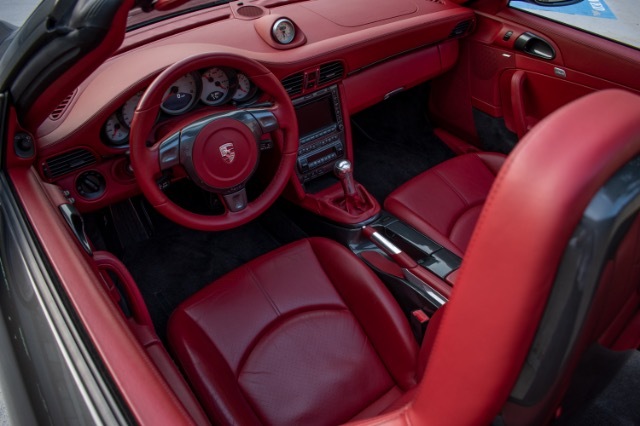 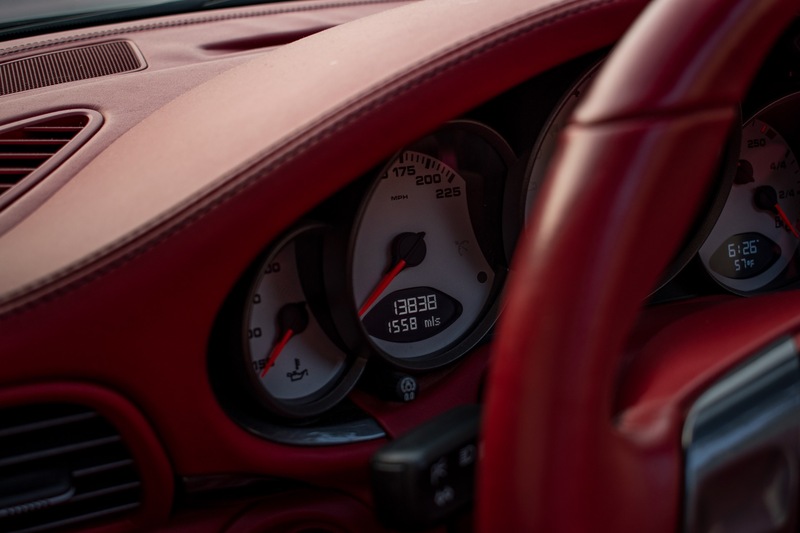 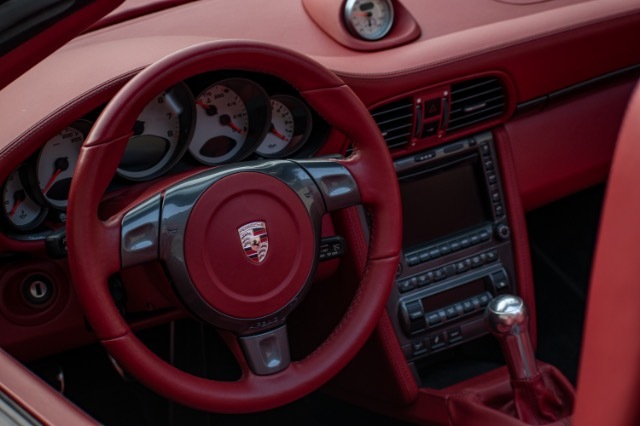 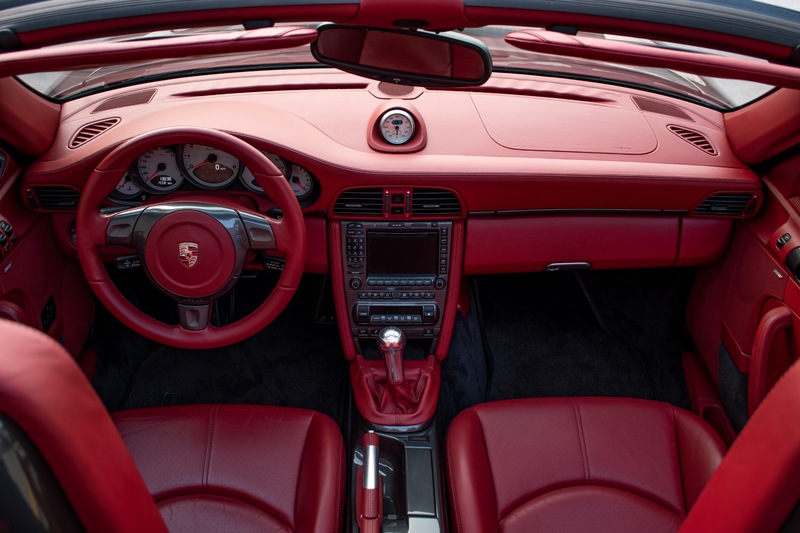 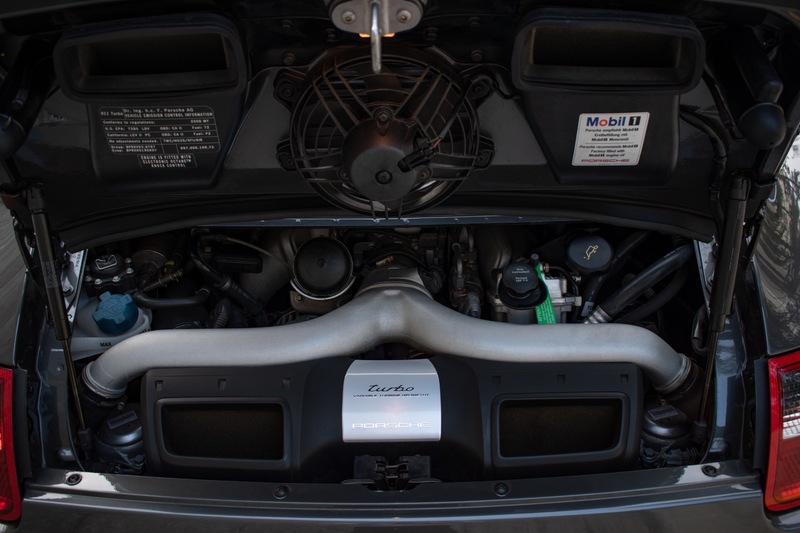 This Porsche sports a 3.6L twin turbocharged engine mated to the desirable 6-speed manual transmission. 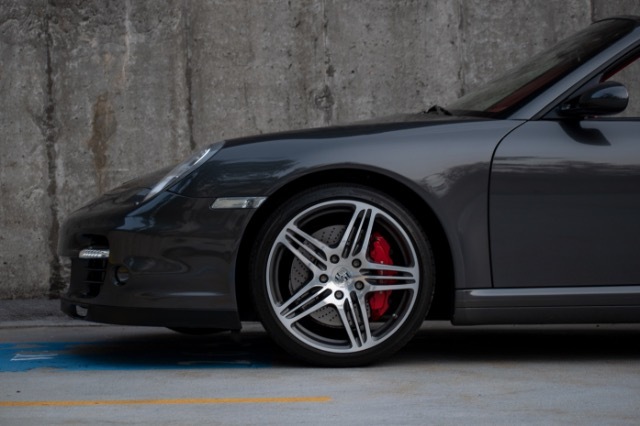 The 911 Turbo is all wheel drive with map controlled Porsche Traction Management, Porsche Stability Management and Active Suspension. 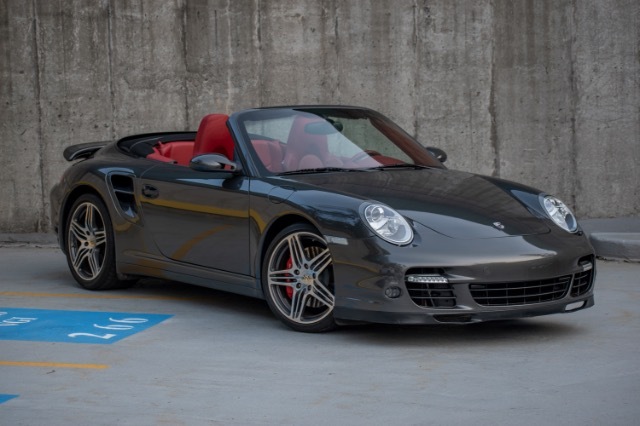 This example was highly optioned with over $29,880 in extras. 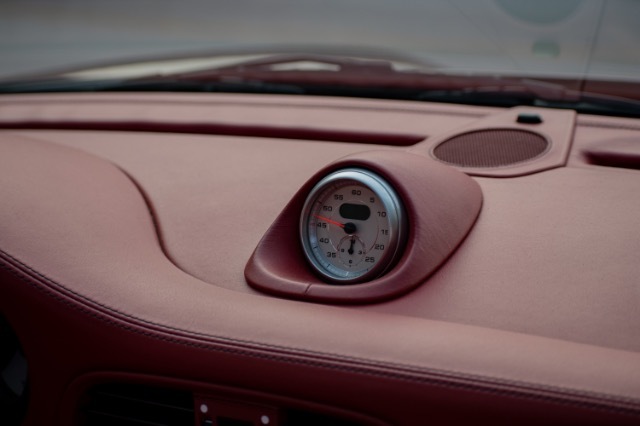 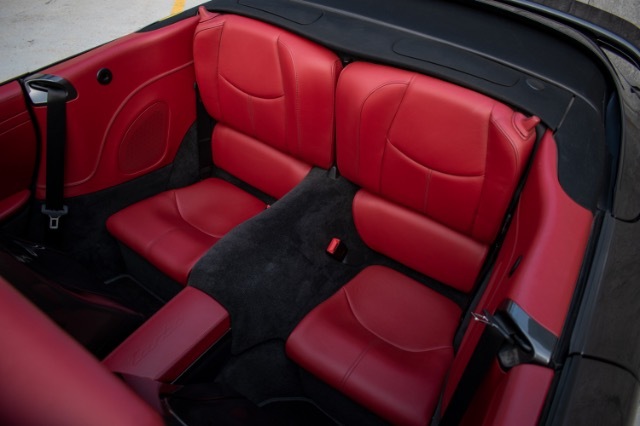 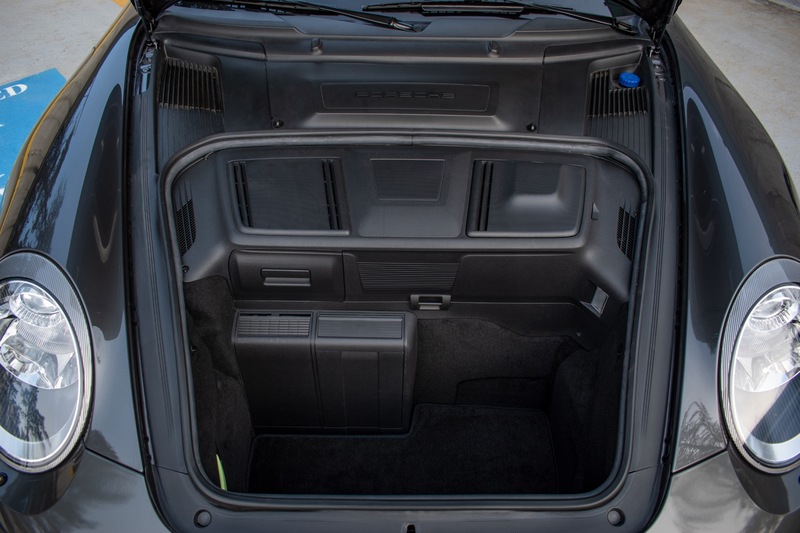 They include Adaptive Sport Seats, heated front seats, sport chrono package and $21,495 in exclusive options. 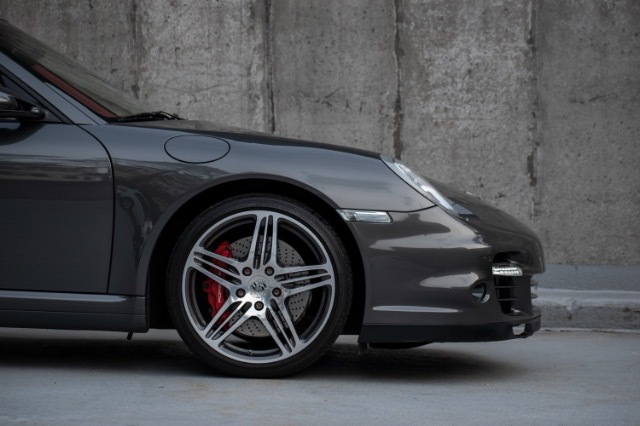 This is an excellent opportunity to own a low mileage, manual transmission turbo that has been well cared for its entire life.